Many novice (and experienced) saltwater aquarists are a bit leery about starting a reef tank with marine corals. Their requirements not being very well understood, corals used to be almost impossible to keep for any length of time in a marine aquarium. Over time and with many successful and failed experiments along the way, the knowledge, products, and information are now in place, so that many corals can now be successfully kept in even mini, micro and nano aquariums. 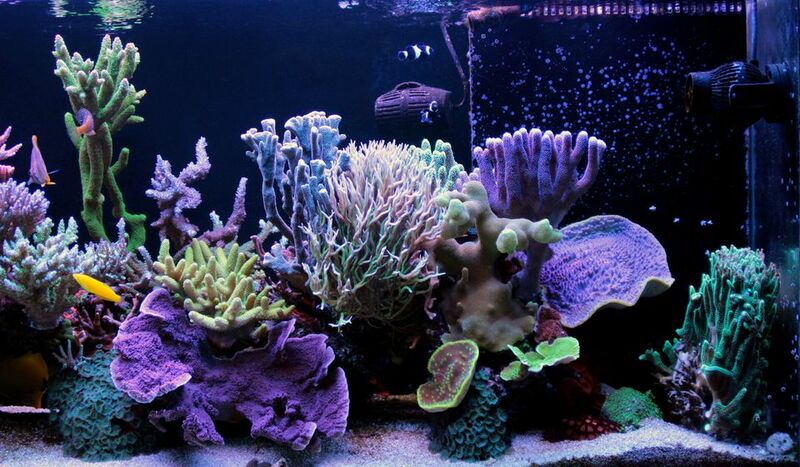 Some are now considered "easy" to maintain while many other corals are still deemed difficult to nearly impossible for the average reef tank hobbyist. The Mushroom (Actinodiscus) Coral does not respond well to bright lights or heavy currents. To allow for maximal expansion and reproduction, these Mushroom corals are best kept under lower lighting conditions (fluorescent lighting is ideal) with little water movement. Safe with fish, crustaceans, and motile invertebrates, but should not be placed next to other soft and stony corals and sessile invertebrates, because of the detrimental effect they can have on them. Commonly known as Leather Corals and Mushroom Corals, these are excellent saltwater aquarium starter corals, being adaptable to most light & current conditions. Moderate light & current is usually optimal for these beautiful species. Commonly known as Star Polyps, Green Star Polyps, and Daisy Polyps, these corals are tolerant of both intense and low-level light as well as a range of currents. Being sensitive to iodine & aluminum oxide which are found in some phosphate removing sponges, caution should be taken when adding these materials to your tank. This coral is very fast-spreading, to the point where it can overgrow other corals. It is tolerant of both low and high-level lighting as well as varied water currents. This coral should be blown clear of detritus occasionally to prevent slime and filamentous algae from gaining a foothold. These are very good starter corals. Commonly known as Sea Mat and Button Polyps, these corals prefer bright light but are tolerant of lower light. Preferring moderate to strong current, Palythoas have a high reproductive rate and are very aggressive. Some of these species contain a strong neurotoxin which affects humans. While most of these corals are brown to dark brown in color, a fair number of them contain elements in their tentacle tips, which fluoresces beautifully under actinic blue lighting. These species are good starter corals. Commonly known as Finger Leather and Colt these corals are excellent starter corals. While adaptable to most light and current conditions, these beautiful corals prefer moderate light and current. Most Finger Leather and Colt Corals are found at mid-water levels in the ocean, so moderate light and current levels are optimal for them in captivity. Commonly known as Sea Mat and Button Polyps, these colorful corals prefer bright light but are tolerant of lower light. Preferring moderate to strong current these very aggressive corals have a high reproductive rate. Some of these species contain a strong neurotoxin which can affect humans. These are considered to be good starter corals. Common names of these corals include Toadstool Coral, Leather Coral, Mushroom Leather Coral, and Trough Coral. These are great beginner's corals which adapt well to most lighting schemes and low to moderate current levels. These corals grow rapidly and are considered excellent for propagation. Common names of these corals include Zoanthid, Sea Mat, and Button Polyps. While these corals prefer bright light, they are tolerant of lower light and prefer moderate to strong current, making them a good starter coral. These aggressive corals have a high reproductive rate and can spread rapidly in an aquarium. Some species in this genus contain a strong neurotoxin which can affect humans. 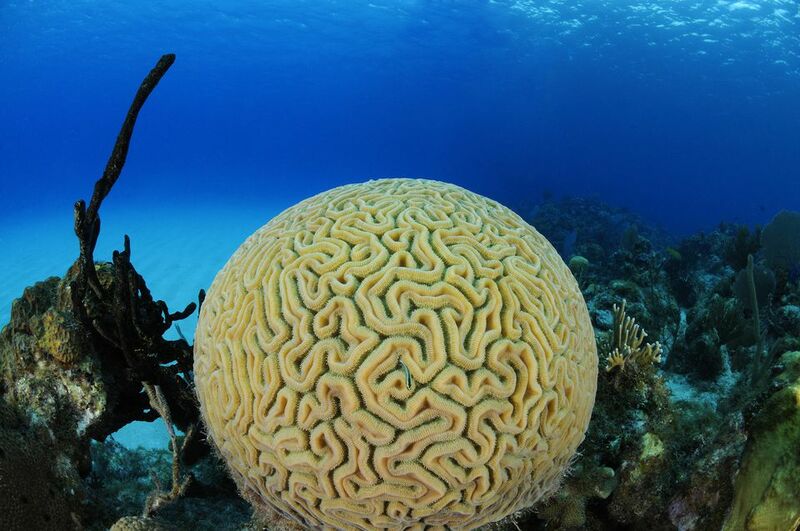 Common names include: Closed Brain Coral, Dented Brain Coral, Meat Coral, Brain Coral and Pacific Cactus Coral. These corals are highly successful in captivity, being very tolerant of different light and current conditions, but preferring bright, indirect light and moderate to low currents. These corals are sensitive to the presence of some soft corals, i.e. Xenia and Litophyton and are very reactive to food (Zooplankton, Phytoplankton, and algae) in the water. Considered an easier coral to keep. Common names include: Moon Coral, Pineapple Coral, Brain Coral, Closed Brain Coral and Star Coral. These corals prefer bright lights, however, they will tolerate much lower levels. Preferring a gentle current, some Favites will attach to a substrate if not moved for several months. Favites can be fed and seem to appreciate a squirt or two of brine shrimp at night. Care should be taken with the placement of these corals as they can send out transparent sweeper tentacles at night. Considered by many to be an easier coral to keep. Common names include: Honeycomb Coral, Star Coral, Wreath Coral, Moon Coral, Pineapple Coral, Brain Coral, Closed Brain Coral. Considered a good coral for novices, these corals thrive under strong water current and bright lighting. In the photo above, note the sweepers protruding from the coral. These are poisonous and are used for both defense and offense. Common names include: Fox Coral, Jasmine Coral and Ridge Corals. These corals prefer a gentle current, calcifying and expanding best in dim to moderate light. Specimens in this genus do not produce feeding tentacles and therefore receive their nutrition from absorption. It does oes best without heavy skimming or highly efficient water filtration and it's considered an easy coral to keep. Common names include Lobed Brain Coral, Flat Brain Coral, Open Brain Coral, Meat Coral, Modern Coral, Large Flower Coral. These corals do best with bright direct light and calm currents however if minimally adequate light and water movement are provided, it will grow well in a tank. This coral normally feeds actively at night, however, the tentacles occasionally extend during the day and readily take food offerings, feeding almost exclusively on zooplankton and bacterioplankton which consists of free-living bacteria, detritus, particulate (POM) and suspended organic matter (SOM). Lobophyllia is not normally aggressive however there have been reports of sweeper tentacles being formed when they come in contact with other corals.